The indices of Boursa Kuwait closed Wednesday’s session with a mixed performance, as the All-Share and Premier markets retreated 0.4% and 0.65%, respectively. 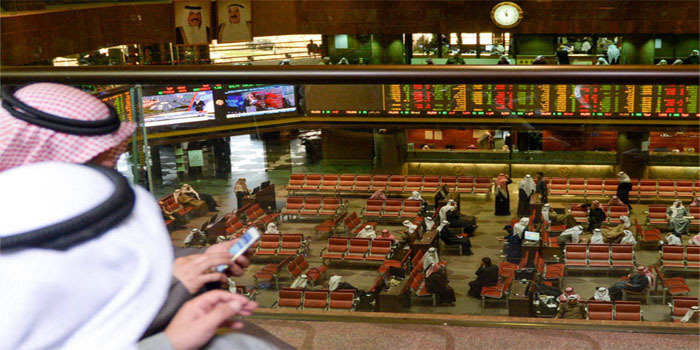 The mixed note witnessed in Boursa Kuwait on Wednesday came as a result of the profit-taking activity on blue chips and operating shares in the Premier Market, capital market analyst Moustafa Al Jarhi told Mubasher. The consumer goods segment led the decliners with 3.13%, while the oil and gas sector was the only winner with a rise of 1.32%. First Takaful was the top loser with a decline of 10%, while Al Mudon headed the winners with 5.7%. Boursa Kuwait’s turnover increased by 15% to KWD 27.48 million on Wednesday from KWD 23.9 million in the prior session after the trading volume shrank by 20% to 121.71 million shares from 151.95 million. The National Bank of Kuwait (NBK) posted the highest trading value of KWD 5.74 million, the stock declined 0.58%. AUB Bahrain was the most active stock on which 11.56 million shares were traded, the stock added 0.41%.